I love this time of year. As a Jewish believer in Jesus, my faith and love for my heritage converge in perfect harmony during the Passover/Easter season. during this season, we celebrate the coming of the perfect Lamb of God, which was predicted in the biblical passages that tell the story of Passover and in Isaiah chapter 53. He is the One who died for our sins, rose from the grave, and ascended to heaven—and now we wait patiently for His return! Jewish people traditionally observe the holiday by celebrating a Passover Seder (Hebrew for “order”), or dinner, on the first two nights of the holiday. It is not easy being Jewish and believing in Jesus. I often feel like an outsider in my own family and community. But Passover is a great comfort and joy to me since it is evident that Yeshua fulfills the festival in so many glorious ways. The lamb of Exodus 12 points to Jesus. The lamb was killed and it’s blood shed so that the firstborn sons of the Israelites would be spared. Now, we understand that this points to the blood of the perfect Lamb that spares us from the consequences of our sin! As Paul, the great Jewish apostle wrote, “For the wages of sin is death, but the free gift of God is eternal life in Christ Jesus our Lord” (Romans 6:23). We have this great gift of salvation through His shed blood and atoning sacrifice. Jesus was sinless and innocent. According to the prophet Isaiah, this perfect lamb would die an undeserving death and rise from the grave (Isaiah 53:10–12). This is the triumphant message of grace and redemption—for the One who died now lives forever, and we will live forever with Him. This summer, we are hoping and praying to recruit 125 staff members and volunteers for two weeks of front-line evangelism in New York City. It is not too late for you to come! All you need to do is visit http://www.shalomnyoutreach.com. We will get in touch with you and tell you how you can apply to join us! Thank you for your love for the Jewish Messiah and His people. Your prayers and support mean so much to us. We could not do this work without you. Shalom in His grace. I hope you are looking forward to the Passover/Easter season this year. We expect hundreds of Jewish people to attend our Passover banquets around the globe. Your prayers for these events are greatly appreciated as we hope that many Jewish people will discover that Jesus is the Messiah and Lamb of God! We exist to tell Jewish people about Jesus! Yet, once a Jewish person (or anyone) comes to faith, they need to be discipled and taught the Word of God. This is why we started the Charles L. Feinberg Center for Messianic Jewish Studies in Brooklyn, New York, in 2007. We have trained dozens of Jewish and Gentile believers, who are now serving the Lord among the Jewish people, and who are capable of discipling a new generation of Jesus-followers! We named the program after Dr. Charles Lee Feinberg—the first dean of Talbot School of Theology within Biola University in California, and our partner in this wonderful course of study. Dr. Feinberg was one of my heroes in the faith. He was the reason I chose to attend Talbot after graduating from Bible college in 1974. There was only one person with whom I wanted to study further—and that was Dr. Charles Lee Feinberg. He was a legend among the young Jewish believers who came to faith during the turbulent days of the Jesus Movement in the late 1960s and early 1970s. Most of us were the only believers in our families and felt completely alone. We definitely did not know any rabbis or Jewish community leaders at the time who were believers in Jesus. My little group of ex-hippie believers longed for an example or two of older Jewish believers we could look to as role models. Dr. Charles Feinberg became the spokesman and example we were seeking. Dr. Feinberg trained as a rabbi but interrupted his training when he came to faith in Jesus. He was in the first graduating class of Dallas Theological Seminary, and then taught there for a number of years. Eventually, he earned a PhD in Archaeology at Johns Hopkins University and moved his family west to take up a new role at Biola (the Bible Institute of Los Angeles). Dr. Feinberg became a believer in the 1930s through Chosen People Ministries, which was then known as the American Board of Missions to the Jews. His books helped shape a generation of Christian leaders, training them in how to understand the Old Testament. Dr. Feinberg’s superb commentary on the minor prophets began as a serial Bible study in the monthly magazine, The Chosen People. Dr. Feinberg helped me develop a great respect and love for our historic mission to the Jewish people where I now serve as president. His passion to see Chosen People Ministries grow in fruitful service for the Lord was both relentless and infectious. Those who attend the Feinberg program and complete the rigorous coursework walk in the footsteps of a spiritual giant. But the proof is in the pudding! After reading these testimonies of past and present students, you will see what I mean. The Feinberg program provided an invaluable exposure to the world of the Bible and to the Jewish and Christian interpreters who have been studying it for millennia. Learning Greek and Hebrew opened up vistas of depth and nuance I never knew existed. And through study, it was a joy to interact with Church fathers and rabbis as they sought to understand the texts. All of this prepared me for a ministry of apologetics to the Jewish people. Liz, who completed our Certificate program, shares how the Feinberg program prepared her for ministry. Before attending the program, I had a big heart for the Jewish people but very little understanding of the Jewish people and Jewish evangelism. Now I feel extremely prepared for whatever direction God takes me in ministry. We were also thrilled at the cost of the program. This allowed my husband and me to complete our seminary education with zero debt! There is no better place in the world to study Messianic Jewish ministry than in Brooklyn. Imagine learning about a specific group of people and the way they think and live, and then walking outside and that same people group is all around you! I have been able to host Sabbath dinners in my home, take part in street evangelism and campus ministry, and most recently volunteer at an Orthodox-run soup kitchen. Stephen*, one of our new students, describes the ministry opportunities he enjoys through the program. Since I am a new student, I have been on rotation, participating in college campus outreach, street evangelism, Messianic congregational ministry, and apologetics writing. Participating in ministry activities during our studies that teach us how to practically reach out to Jewish people with the gospel is invaluable. Many of the leaders in the Messianic Jewish movement have little formal biblical training, and often the Jewish studies component is lacking in the education they do have. The majority come from secular Jewish homes and did not receive a broader understanding of Jewish life and faith growing up. The Feinberg Center provides the best of both worlds through Bible-based and Messiah-centered courses, as well as training in Jewish literature and religion. Since the Association of Theological Schools, the Western Association of Schools and Colleges, and the New York Board of Regents approved the program in 2007, we have graduated two dozen well-trained leaders now engaged in Jewish ministry and almost every graduate is debt free because of your generosity! We designed the Feinberg curriculum to incorporate both Jewish studies and the courses one would usually take through an evangelical seminary, although every class is taught with Jewish evangelism in mind. Our professors are all excellent scholars with years of personal experience in Jewish ministry. We situated the Feinberg Center in the New York metropolitan area because the city is home to two million Jewish people and is the center of Jewish life in America. Our Center is in the heart of Orthodox Jewish Brooklyn, and just living in the midst of the Jewish community provides endless possibilities for students to immerse themselves in Jewish culture and ministry while completing their coursework. 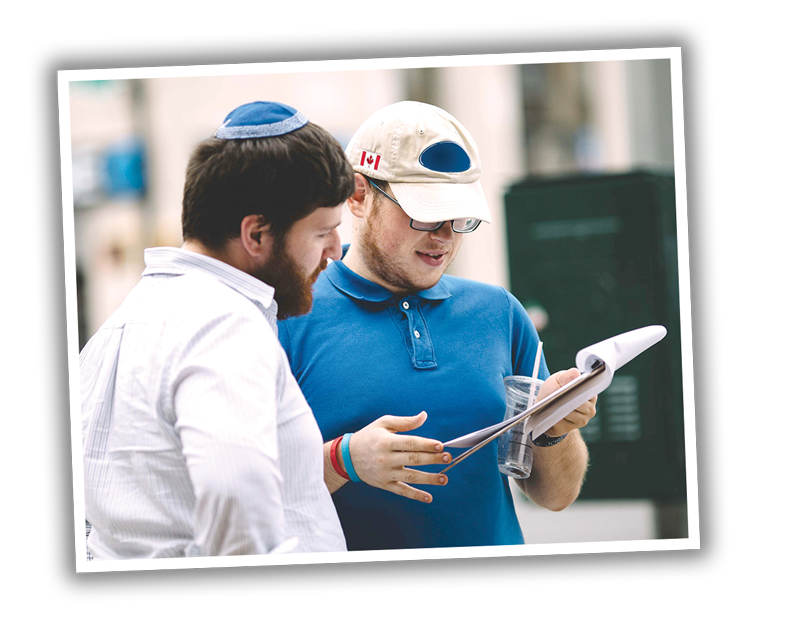 In fact, each semester we organize Jewish-focused field ministry programs to help each student put what they learn in the classroom into practice. The Feinberg Center provides our students an affordable education and gives them the opportunity to graduate debt-free. To achieve this affordability, we offer a wide range of scholarships and subsidies to offset student costs. We also provide accommodations for single students and housing for families through rent subsidies. The generous and regular support from our ministry partners makes a debt-free education possible, which I believe is critical for missionaries who raise their own support. Dr. Charles L. Feinberg demonstrated in both his life and ministry that one could be Jewish and believe in Jesus. He loved the Lord, he loved his Jewish people, and he loved our Mission—Chosen People Ministries. And it is in his honor that we dedicated the training program and our beautiful Center in the midst of a very Jewish part of Brooklyn. We hope you enjoy learning about our New York initiatives! Shalom in our Messiah. I hope you have a wonderful Passover/Easter season and that this newsletter will help prepare your heart for the celebrations next month! This is one of my favorite times of year as we are surrounded by symbols and celebrations to help us remember God’s faithfulness through providing Jesus, the perfect Passover Lamb, to die for our sins…and to rise from the dead! I remember my first Passover after coming to faith in Jesus the Messiah. In November 1971, I accepted Jesus as my Savior and Messiah in San Francisco, California, and traveled back to the East Coast to tell my parents about my newfound faith. I knew it was not going to be easy, but I never imagined it would be so difficult. My parents were wonderful and tried to understand me, but it was just too much of a stretch to understand how their son, a nice Jewish boy, could believe in Jesus. A few months after I returned home, it came time for my first Passover with my extended family. I was under strict instructions not to say anything to my relatives, especially my grandparents, about my relationship with Jesus. It was difficult. I sat quietly through the Passover Seder at my grandparents’ home in Brooklyn, but the parallels between the New Testament and the traditional Passover became so obvious to me. I said nothing, but my heart was bursting! And surprisingly, even to me, the Passover made me feel so Jewish! I realized that Passover pointed to a day of greater redemption through the shed blood of the Lamb of God, Jesus the Messiah. I recognized that I did not need to give up my Jewishness to believe in Jesus, since Jesus and His disciples were all Jewish. In fact, my faith was the fulfillment of all God had promised to the Jewish people. This is why Passover means so much to me. It is a time when I feel joyously whole as a Jew who believes Jesus is the Messiah. For me it all comes together at Passover! Let me explain why. Jesus’ last meal with His disciples before going to the cross was a Passover Seder. During that last Seder, we know that Jesus took a cup and said, “This cup which is poured out for you is the new covenant in My blood” (Luke 22:20). This cup is traditionally called the Cup of Redemption and is always taken after the meal. He could have chosen any of the four cups, but took the third cup, as it would have the greatest meaning for His Jewish disciples. The cup pointed to the blood of the Passover Lamb, and by taking this cup Jesus was declaring that He was the true Lamb! This event inaugurated the New Covenant prophesied in Jeremiah 31:31–35. As I reflect upon His statement, I wonder, “What is the New Covenant?” What about this covenant is new? The Greek word for new, kainos (καινός), generally translates the Hebrew term chadash (שׁחָדָ), and is a common word that means new or renewed, allowing for a connection to the past. The New Covenant is new, but is also built upon the previous covenants God had made with the Jewish people, particularly the Abrahamic and Davidic covenants (Genesis 12:1–3, 2 Samuel 7:27–29). In the Hebrew, a covenant is never made—it is cut. All covenants are cut and confirmed with the shedding of blood. Additionally, we understand that, in general, God makes two types of covenants with His people—one is conditional and the other unconditional. This might very well reflect the various types of covenants made in the Middle East at the time. Covenants that are conditional demand the obedience of the lesser party in order to receive the good promised by the greater. In order to receive the blessings of the covenant, Israel had to be obedient to the Law God gave on Mount Sinai. Covenants that are unconditional depend upon the work of God Himself to ensure Israel receives the blessings of the covenant. This means that the ultimate blessing for Israel, based on the covenant with Abraham, is certain. God gave the Land of Israel to the descendants of Abraham. Isaac, Jacob, and ultimately Jacob’s descendants will inherit the Land. “‘Behold, days are coming,’ declares the Lord, ‘when I will make a new covenant with the house of Israel and with the house of Judah, not like the covenant which I made with their fathers in the day I took them by the hand to bring them out of the land of Egypt, My covenant which they broke, although I was a husband to them,’ declares the Lord” (Jeremiah 31:31–32). The law will be internalized in the hearts of believers (1 Corinthians 3:16). Forgiveness of sins will be available to all who believe (Hebrews 8:12). Israel will be reconciled to God, just as He promised to Abraham (Romans 11:25ff). All humanity will know the Lord (Jeremiah 31:34). The Jewish people will be preserved throughout the ages (Jeremiah 31:35–37). The forgiveness of sins and the indwelling of the Holy Spirit apply to both Jewish and Gentile believers in Yeshua. The other three are future and look forward to the second coming of Jesus. The Jewish people will come back to the Land and to the Lord as outlined in the Abrahamic Covenant. When this happens, the fulfillment of His Kingdom promises will be a blessing to all Jews and Gentiles who know the one true King. Just imagine the beauty of a renewed earth when Jesus is on His rightful Davidic throne. “They will say, ‘This desolate land has become like the garden of Eden; and the waste, desolate and ruined cities are fortified and inhabited’” (Ezekiel 36:35). Paul writes: “…that the creation itself also will be set free from its slavery to corruption into the freedom of the glory of the children of God” (Romans 8:21). I believe that the return of almost seven million Jewish people to the Land is a foretaste of what is to come! He is faithful! But this is not end of the story. We also look forward to the day when the Jewish people will turn to Jesus, and Your Mission to the Jewish People, by the power of the Holy Spirit, is working towards this ultimate goal day in and day out. This is why we are so concerned with training a new generation of disciples in Israel and across the globe to bring the gospel to the Jewish people. Please keep reading, as I know you will be greatly encouraged to see what God is doing among a new generation! And please remember to pray for Chosen People Ministries as we continue to celebrate our 125th year of service for the Lord among the Jewish people. We are planning our largest outreach effort in New York City this summer, and I hope you might pray about joining us for a week or two. We are praying that 125 people will join us each week! We are calling it Shalom New York because we will be bringing the message of the Prince of Peace to the largest concentration of Jewish people in the world! And if you cannot come, please pray for this massive effort to reach Jewish people with the message of the New Covenant. A friend of mine in Israel told me a few months ago, “Mitch, the focus of God’s work among the Jewish people in the future is going to be Israel.” I could not agree more! The Jewish population in Israel has surpassed that of the United States, although New York City still has the single largest concentration of Jewish people in the world. The miraculous growth in the number of Jewish people in the Holy Land reminds me of the glorious promise in Isaiah 2:2–3. Today, we see this prophecy in the process of fulfillment. God’s chosen people, after thousands of years of dispersion, are returning to Israel—almost seven million of the more than fifteen million Jewish people in the world today are now in the Promised Land. Yet, the Word of the Lord still needs to be proclaimed to the Jewish people, both within and outside of Israel. We continue to wait for the great day when the majority of Jewish people will turn to Jesus (Romans 11:25ff). At that time, Jesus will reign as Messianic King over all nations! I believe this day is coming soon, and what is happening in Israel today gives me hope for tomorrow. Still, the Jewish people in Israel and around the world desperately need to turn to Jesus—Yeshua—the one true Messiah! Once this happens, the marvelous promise will be fulfilled! By God’s grace, we have extensive ministries in the Holy Land. A couple of years ago, we rented a 1,600-square-foot commercial space in the heart of Ramat Gan that is only a 15-minute walk from Tel Aviv. This urban “suburb” has more than 200,000 people, and an additional 100,000–150,000 people if you include the surrounding areas. Apart from our staff, there are no missionaries serving these communities. A broad spectrum of Israelis live in Ramat Gan, including religious and secular Jews, Russian-speaking immigrants, and lots of children and youth, most of whom come from a secular background. You can be sure that when you share the gospel with an Israeli in Ramat Gan that they are more than likely hearing this message for the first time! We serve the local community through our Bible studies and once-a-month gatherings for a large Sabbath meal, which draws a full house of eighty-plus millennials each time—many of whom are seeking the Lord. We also host a women’s group, evangelistic lectures and concerts, as well as Jewish holiday celebrations throughout the year. Hopefully, sometime in the near future we will begin the process of planting a new congregation. Could you imagine living in a dense area of more than 300,000 people without a church to attend? We have four staff workers engaged in the effort to reach this community and the many who also live in Tel Aviv! I am directly involved through mentoring the team, evangelistic work, and discipleship. Please pray for our new missionary who is an Israeli, a husband, and a father of two small children. Also pray for the team—Rachel, Robin, Jason, and David. Serving this community is a natural next step for Chosen People Ministries in Israel, known as Beth Sar Shalom in the Holy Land, which means House of the Prince of Peace (Isaiah 9:6). We believe that many secular Israelis are open to the gospel. To train leaders, conduct camping programs for hundreds of children, and more! We pour more than a million dollars every year into this ministry and believe it is worth every penny. Israel must become a primary focus for all Jewish ministries. We cannot do this without your prayers and support. Shalom. I pray the Lord is blessing your life, family, and ministry so far in 2019! We are already enjoying the celebration of our 125th year of faithful ministry for the Lord among the Jewish people. I hope you will join our celebration by attending one of our 125th-anniversary conferences or events. You can see the entire list by visiting http://chosenpeople.com/125years. Allow me to open my heart to you. Like many others, I was badly shaken when, on the Sabbath day of October 27, 2018, the horrible murders of eleven Jewish people in Pittsburgh grabbed our attention and directed it to the growing problem of modern and murderous antisemitism. Antisemitism, called “the oldest hatred,” has been around for thousands of years. And today it seems to be intensifying. Social commentators, both within and outside of the Jewish community, have many theories about this, but they leave out what I believe is the most critical reason of all. Antisemitism is the devil’s invention! When God called Abram to be the father of His chosen people (Genesis 12:1–3), Satan made the Jewish people the target of his fury. The evil one has tried to annihilate the Jewish people in every age and in endless ways to prevent God from using us as His instruments of redemption through the Jewish Messiah. We know the devil will not prevail, although that does not prevent him from continuing to try. Sadly, one of his ugliest tactics has been to use the Church to promote the hatred of Jewish people. Of course, the picture is not entirely dark. We rejoice in the establishment of modern Israel as a sovereign nation and home for the Jewish people. The State of Israel rose out of the ashes of the Holocaust to provide the Jewish people with a safe haven and a bastion of protection against antisemitism. Although God’s choice of the promised land is ancient and rooted in the Scriptures (Genesis 15:18–21), the vision for the modern State of Israel is the fruit of the Zionist movement founded in the late 19th century and led by the great Viennese journalist Theodor Herzl. Yet, this love for Zion is not new. It has been the cherished hope of both Jews and Christians for centuries because of the prophetic biblical teaching describing the return of the Jewish people to the land of promise found throughout the Old Testament (Ezekiel 36:22–34). In fact, some of the earliest and greatest supporters of the Zionist movement were Christian Zionists who took the Bible literally. They fervently believed the Jewish people would return to the land of Israel. Yet, today we see a rising tide of Christians who do not believe that the foundations of Zionism and the modern State of Israel established in 1948 are biblical. In light of the growing criticism of Israel among some Christians and the hierarchies of their churches, the question I want us to consider briefly is whether we believe anti-Zionism and, in particular, Christian anti-Zionism, is antisemitic in nature. Can we equate anti-Zionism with antisemitism? I would suggest the answer is sometimes yes, especially when those opposed to the State of Israel support the BDS (Boycott, Divestment, and Sanctions) movement1 and groups like Students for Justice in Palestine, which harass and persecute Israeli speakers on university campuses across America and around the globe. The answer is also sometimes no! Some Christians simply do not interpret the Bible as teaching that the land of Israel ultimately belongs to the Jewish people. This is unfortunate, but should not necessarily be equated with antisemitism. However, when criticism of Israel specifically leads to hateful language and actions directed toward Israelis, and Jewish people in general, then I believe the line is crossed. This is when anti-Zionism becomes antisemitism! Again, we ask the question, Is anti-Zionism antisemitic (especially the Christian version of anti-Zionism)? In order to answer this question, we must begin with a clear definition of biblical Zionism, which is sometimes misunderstood, especially by the Christian anti-Zionists who might be more influenced by culture than by what they read in the Bible. Biblical Zionism holds that God gave the land of Israel to the Jewish people through an unconditional, irrevocable covenant made between Himself and our forefather, Abraham, as found in many chapters of Genesis (12, 15, 17, 22, 35). The belief that God gave the land of Israel to the Jewish people is still well-accepted by the majority of Christians in the United States, as shown by a recent survey of evangelicals (sponsored by Chosen People Ministries and Joel Rosenberg and implemented by LifeWay Research), entitled Evangelical Attitudes Toward Israel and the Peace Process. Yet, according to Bob Smietana, who reported on the data discovered by this survey, negativity toward Israel and the hope of Zion seems to be influencing the younger generation of Christians. Our younger generation was born years after the Holocaust and the founding of the State of Israel, and they do not have the same theological or emotional sympathies as those who were born closer to this time period. They did not grow up during the days when a much larger coalition of Arab nations tried to destroy Israel or when groups like the Palestinian Liberation Organization murdered Israeli athletes and began terrorist attacks within Israel. It is hard for some to understand why Israel has been so careful to protect the Jewish people within her borders. This has been difficult for Israeli leaders. There is a mistaken understanding that followers of Jesus who believe God gave the land of Israel to the Jewish people also support every decision that Israeli politicians make. This is false. All leaders are human and capable of mistakes. Israel is not a perfect country! They have made mistakes. I am hoping that Bible believers will carefully study the Scriptures and conclude that at the heart of biblical Zionism is the understanding that God gave the land of Israel to the Jewish people. It is a land to be shared among all her inhabitants since Israel was chosen to bless the nations of the world (Genesis 12:3, Isaiah 44:8). And it is a land and a people to be loved, prayed for (Psalm 122:6), and reached with the gospel message. The negative spillover of anti-Zionism is impacting the view of many toward the Jewish people within and outside of Israel. When embraced, this critical attitude toward Israel can easily, and unfortunately, lead to antisemitism. If Anyone Should Oppose All Forms of Antisemitism, It Should Be US! Oh, how I hope the Church will take the lead on encouraging the above! Opposing antisemitism may be a crucial first step in leading Jewish people to open their hearts to Jesus, the Messiah. I pray my people will see that true Christians love the Jewish people (Romans 11:11). 3 “Support of Israel Wanes Among Younger Evangelicals,” LifeWay Research (blog), December 4, 2017, https://lifewayresearch.com/2017/12/04/support-of-israel-among-younger-evangelicals/. 4 https://www.jpost.com/Diaspora/Antisemitism/Austrian-Kurz-We-cant-undo-history-but-we-can-do-justice-to-our-history-572444 noted on 12.30.18. 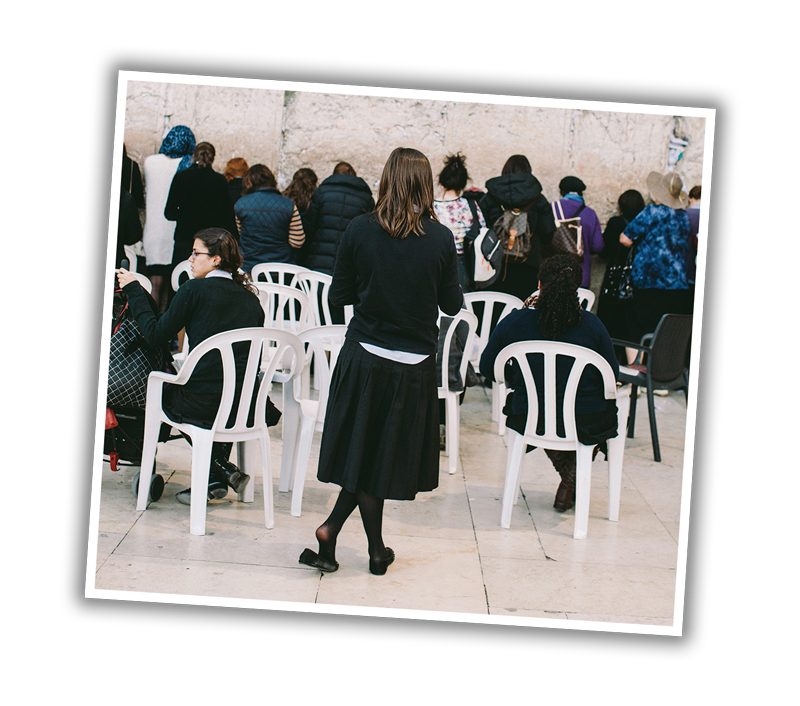 Pray: We need to pray for the Jewish people and the peace of Jerusalem. Prayer is critical at this time, and, as believers, we need to pray for the protection of Israel and the Jewish people. Act: If you see antisemitism in any form on your social media platforms, make sure you say something. I am not suggesting that you get into a heated debate with proponents of antisemitism. As one dear brother once told me, “We need to love what the devil hates and hate what the devil loves!” So, we cannot allow remarks to go unanswered! Be informed: Inviting Chosen People Ministries to visit your church and speak on a topic related to Israel, the Jewish festivals as fulfilled in Jesus, or the spiritual origins of antisemitism would be a great way to encourage your congregation. Celebrating 125 Years of Faithful Service! It is hard to believe that Your Mission to the Jewish People is entering its 125th year of faithful service to the Lord in bringing the gospel to the Jewish people. We were founded by Rabbi Leopold Cohn who came to the United States from Hungary in 1892, and who, through a series of incredible events, accepted Jesus as his Messiah. 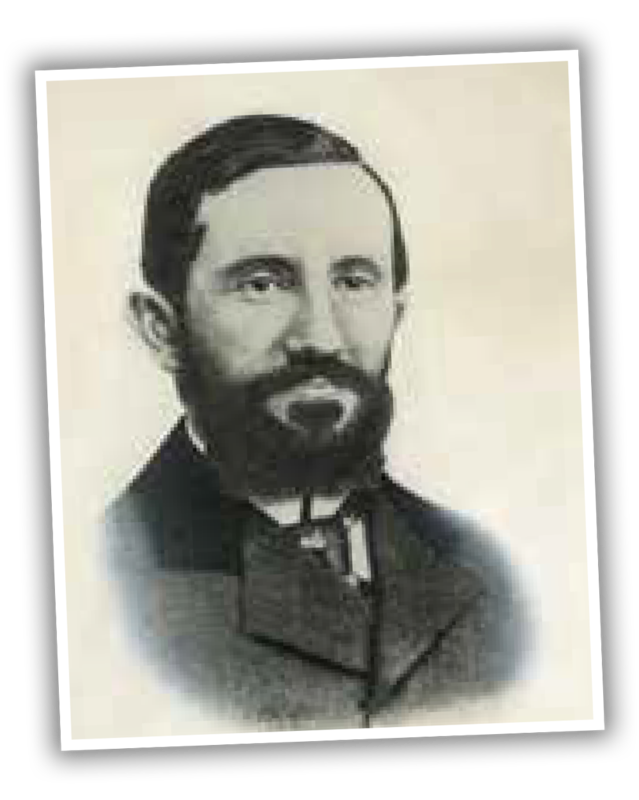 For 125 years we have continued to follow the rabbi’s vision and the vision for the world held by Jesus Himself! He called us to make disciples by bringing the gospel to both Jews and Gentiles. But this vision is not only about winning people to the Lord but also about discipling them, baptizing them, and teaching those who believe so that they become mature in their faith and make other disciples. Every January since the founding of the Mission, we have written articles to explain to our readers why we bring the gospel to the Jewish people. As the seventh leader of Chosen People Ministries, I continue to follow this tradition, especially as we begin this 125th year of our ministry. It is an honor to present to you the biblical basis for our ministry and the reasons we bring the gospel to the Jewish people. Of course, our ministry is founded upon the Bible. The rationale for our service to the Lord and the Jewish people is unquestionably biblical. The foundational passage upon which our ministry is built is found in the book of Romans where the Apostle teaches the new believers in Rome that the first step in reaching the world with the gospel is to reach the Jewish people. The word “first” suggests that the Jewish people are to be viewed as a priority in evangelism. The word is also used in Matthew 6:33 where the Lord Jesus reminds us to “seek first the kingdom of God….”The Kingdom of God should always be sought as a priority in our lives, even before we seek other things. In a similar way, reaching Jewish people with the gospel must be a priority concern for all who know the Lord Jesus as their Savior. Knowing the future plan of God, it is clear that the Church should somehow continue to prioritize Jewish evangelism, especially as we see the day of His second coming drawing near. Bringing the gospel to the Jewish people first should not be viewed as a priority of privilege but as a priority founded on the Lord’s strategy to heal a broken world. So how do we apply Romans 1:16 and the priority God gives to Jewish evangelism to our present day? He makes this clear in Romans 11, which I believe is a biblical mandate for Gentiles in the Body of Messiah to reach Jewish people for Jesus. We can prioritize reaching Jewish people because of God’s choice of Abraham’s seed according to the flesh and still reach the world as commanded by our Messiah prior to His ascension. It begins with you! Through your prayers, giving, and witnessing to your Jewish friends—and by making them jealous— the plan of God will go forth in power! Thank you for your support and prayers. Together, let’s ask the Lord to make our 125th anniversary fruitful in His service. And please pray that the Lord will help us reach our goal of sharing Jesus with 125,000 Jewish people this year—either directly or by helping Gentile believers become equipped to tell their Jewish friends about Jesus through our missionaries, publications, Messianic centers, congregations, and online ministries. 1 Walter Bauer, A Greek-English Lexicon of the New Testament and Other Early Christian Literature, trans. and rev. W. F. Arndt and F. W. Gingrich, second rev. F. W. Gingrich and F. W. Danker (Chicago: University of Chicago Press, 1979), 726; Wilhelm Michaelis, “proton,” in Theological Dictionary of the New Testament, ed. Gerhard Kittel and Gerhard Friedrich, trans. and ed. Geoffrey W. Bromiley (Grand Rapids: Eerdmans, 1968), 6:869. 2 So C. E. B. Cranfield, The Epistle to the Romans, International Critical Commentary (Edinburgh: T&T Clark, 1975), 1:90 – 91; John Murray, The Epistle to the Romans, The New International Commentary on the New Testament (Grand Rapids: Eerdmans, 1968), 28; Douglas J. Moo, The Epistle to the Romans, The New International Commentary on the New Testament (Grand Rapids: Eerdmans, 1996), 69; James D. G. Dunn, Romans 1 – 8, Word Biblical Commentary (Dallas: Word, 1988), 40; Thomas R. Schreiner, Romans, Baker Exegetical Commentary on the New Testament (Grand Rapids: Baker, 1998), 62. 3 See Ernst Käsemann, Commentary on Romans, trans. and ed. Geoffrey Bromiley (Grand Rapids: Eerdmans, 1980), 23; William R. Newell, Romans Verse by Verse (Chicago: Moody, 1938), 22. 4 For a helpful discussion of this subject, see the essay by Wayne A. Brindle, “‘To The Jew First’: Rhetoric, Strategy, History, or Theology?” BSac 159 (2002): 221 – 33.